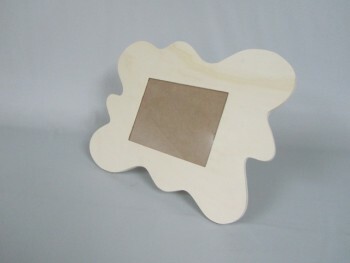 Wooden frames lacquered in white for 10x15 photos. 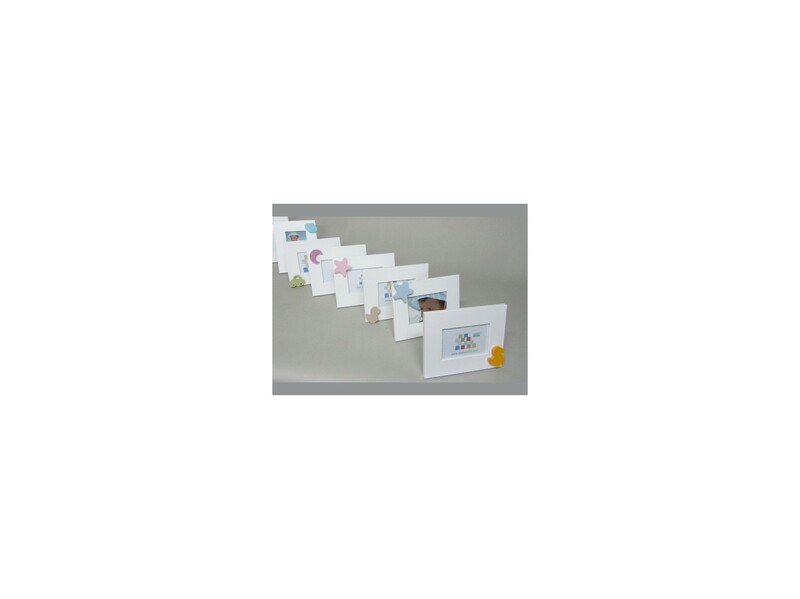 With glass and back fastening to place the photo horizontally or vertically. Each frame carries a wooden motif lacquered in a colour dependant on the photographs. 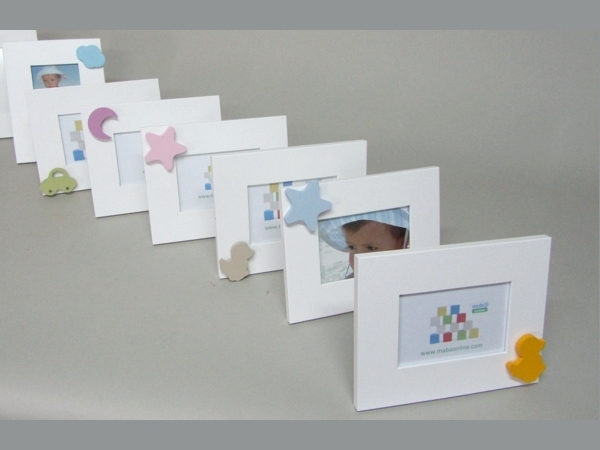 Indicate colour and shape of the motif you wish when placing your order choosing from the child handles selection. Pine wood frames with included glass and back, perfect to paint them! The molding is 5 cm wide. And we have in 2 measures to choose: For photos of 13x18 cm. For photos of 15x20 cm. Frame for photo of 7x10 cm. In poplar with glass and back. Perfect to paint as you want. Measures entire frame 15x12x1 cm. , Wide frame 3 cm. 10x15 picture frame lacquered in white with name. Crystal and back included. Ideal room for the kids or as a gift. Name colors can be pink, blue or gray. Indicate the name in the comments of your order. Poplar molding shaped frame, glass and back included. For photo size 15x20 cm. Frame measures 42,5x32x1,2 cm. Vintage wooden frames shaped, made of solid wood and mirror included. Ideal for home or entry hall. Measures 80x70x3 cm. Lacquered available in White or Black color. Kid's frames REF. 3010 has a rating of 10 out of 10 based on 1 customer reviews.